Aromatics Velvet Sheer Perfume by Clinique, First released in 2006, Aromatics Vetiver Sheer is a new version of the classic scent produced by Clinique: Aromatics Elixir. With this perfume's composition, you get top notes of palisander, bergamot, aldehydes, chamomile, coriander and orange blossom. The heart bursts with character with scents of carnation, orris root, tuberose, ylang-ylang, jasmine, lily of the valley and rose. The base brings coconut, musk, vetiver, oak moss and sandalwood to the Read More Read More profile. 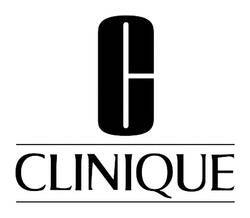 Clinique was first founded in 1968 as a subsidiary of Estee Lauder. The company saw immense success with the opening of its first store on Saks Fifth Avenue. Over the years, the brand has maintained a strong commitment to testing every product for allergic reactions. It truly lives up to its name by being a clinical brand that places an emphasis on testing. Trudi Loren is the nose who developed Aromatics Velvet Sheer. The bottle was designed by Ted Owen. All products are original, authentic name brands. We do not sell knockoffs or imitations.